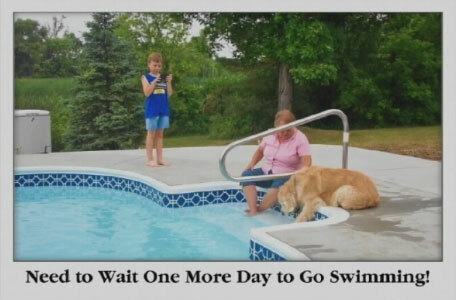 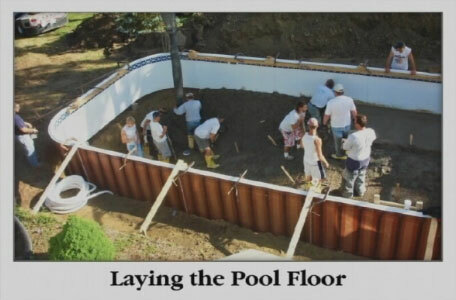 We can help you design the swimming pool you are wishing for. 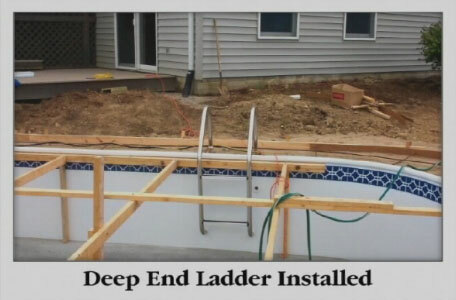 Hand rails, ladders, rocks, slides, and diving boards can be added to any design as well. 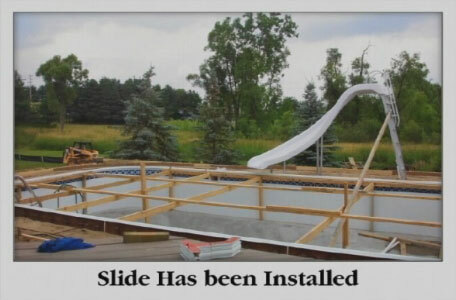 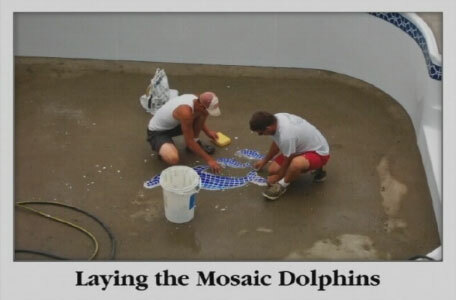 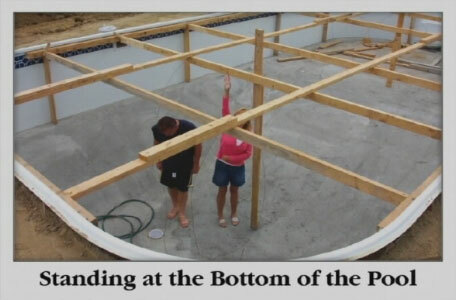 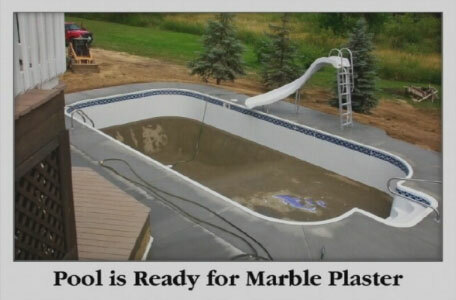 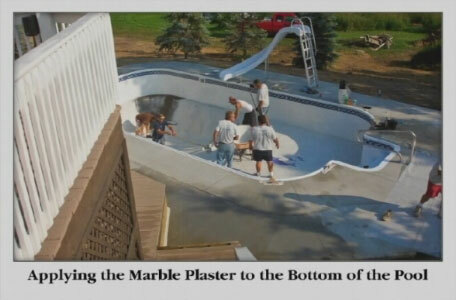 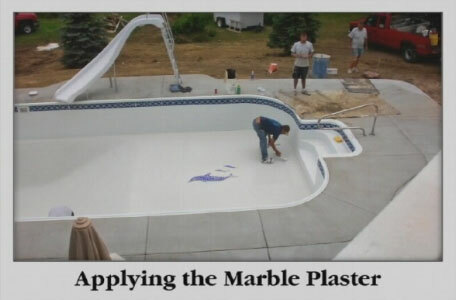 Trust the construction of yur pool to people who have years of experience designing and constructing pools. 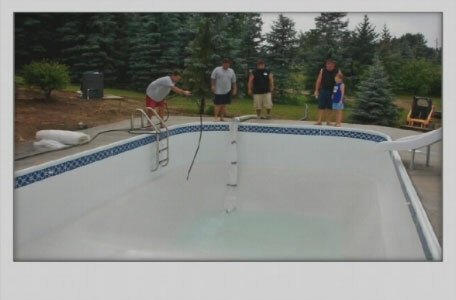 Since 1963, we have been making summers enjoyable and relaxing to many. 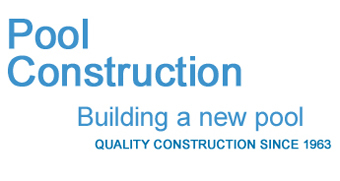 We are available to answer any questions you may have. 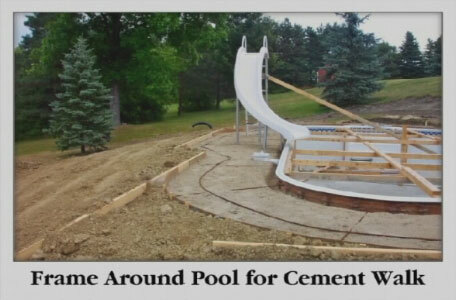 Visit our showroom and see what we can do with your backyard funspace. 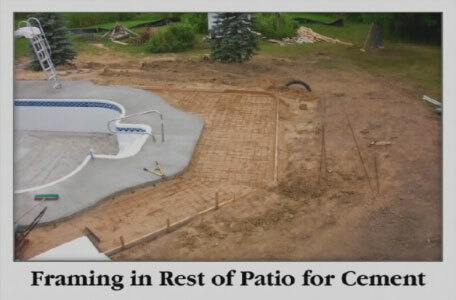 The pool has been dug out and the pool has been assembled here. 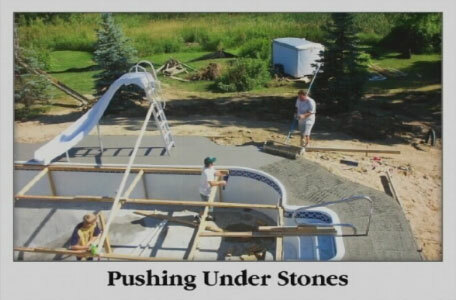 The walls have also been added. 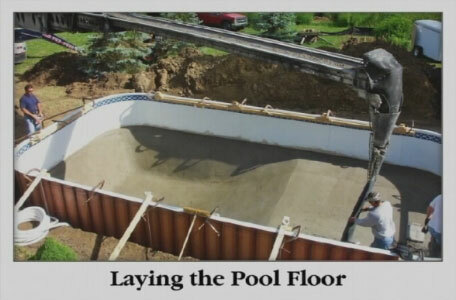 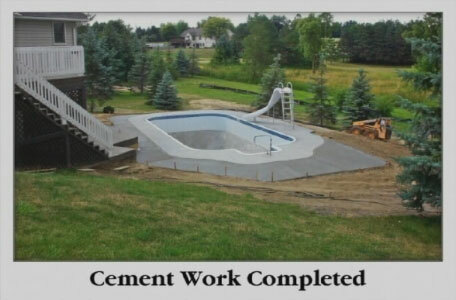 The concrete has been poured into the pool. 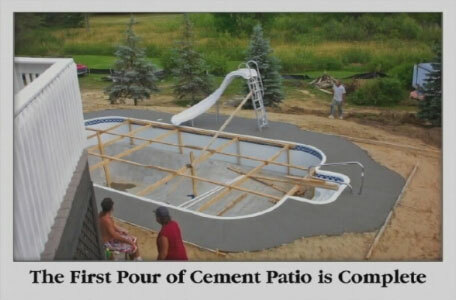 Scaffolding has been added to allow the concrete to dry. 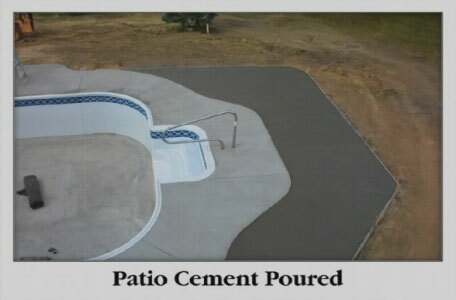 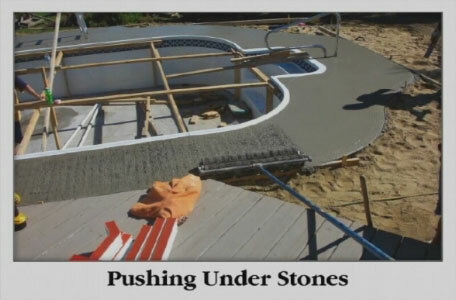 Concrete has been poured around the pool and decking is being added to that. 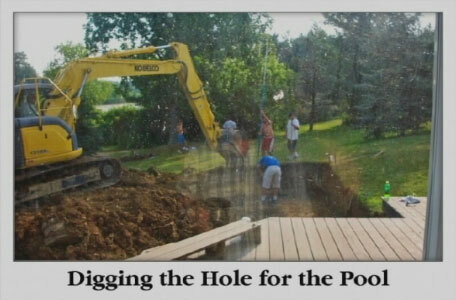 Photos courtesy of Sandra Nelson.